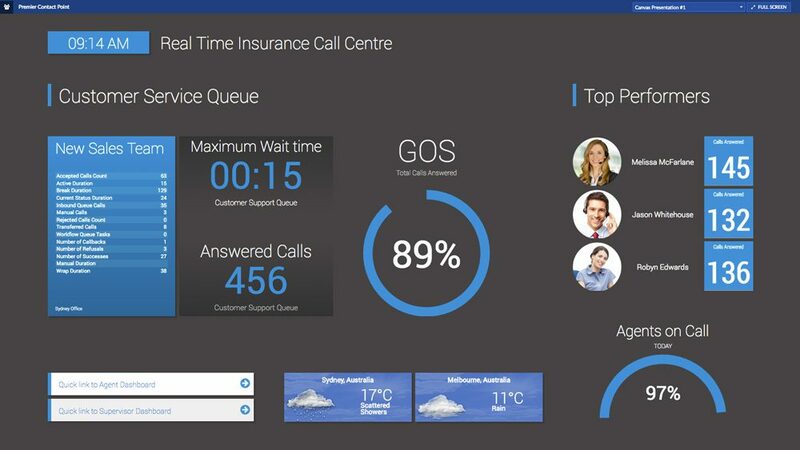 Premier Contact Point provides powerful, customisable and flexible real time contact centre dashboard and wallboard displays to help you optimise your operations and performance throughout the day. 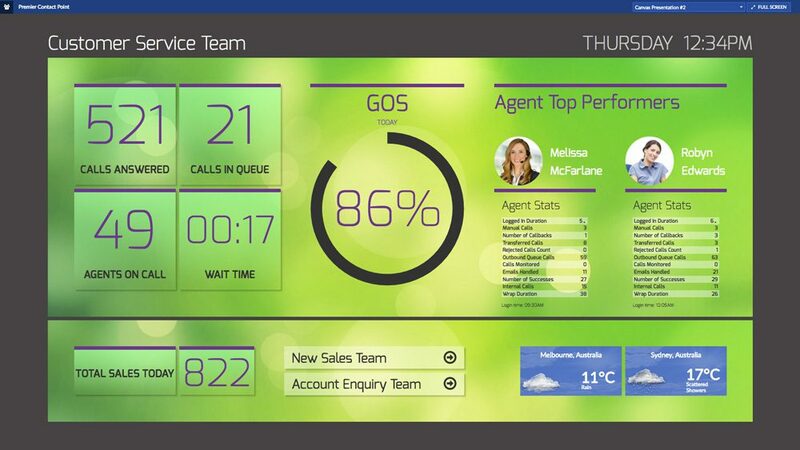 Issues impacting your key metrics such as Service Levels are colour coded – to aid quick, decisive action and bring performance back on track. Data can be quickly displayed in a variety of ways, to suit each user’s preferences. Track inbound and outbound agent activity using vital metrics such as calls handled, wait times, logged in time, active time, wrap times, break times and a whole lot more. Performance issues can be highlighted red or orange based on customisable thresholds. Queue overviews give you instant oversight of a range of key metrics across a number of inbound and outbound queues, allowing quick and insightful decisions to be made to improve service levels and efficiency.